Dr. Phil Williams, a retired brigadier general and current member of the Greater Huntsville Rotary Club, spoke to the Auburn Rotary Club about the Rotary Foundation. 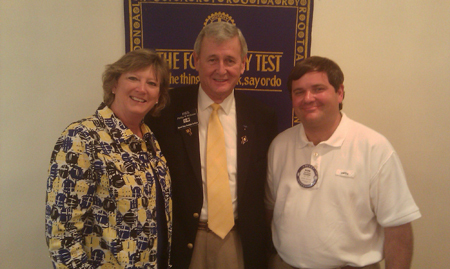 Williams supports the foundation’s efforts in a dozen Rotary districts as its regional Rotary Foundation coordinator. Pictured with Williams are Auburn Rotarians Shawn Asmuth, assistant regional Rotary Foundation coordinator, and club president David Reaves.